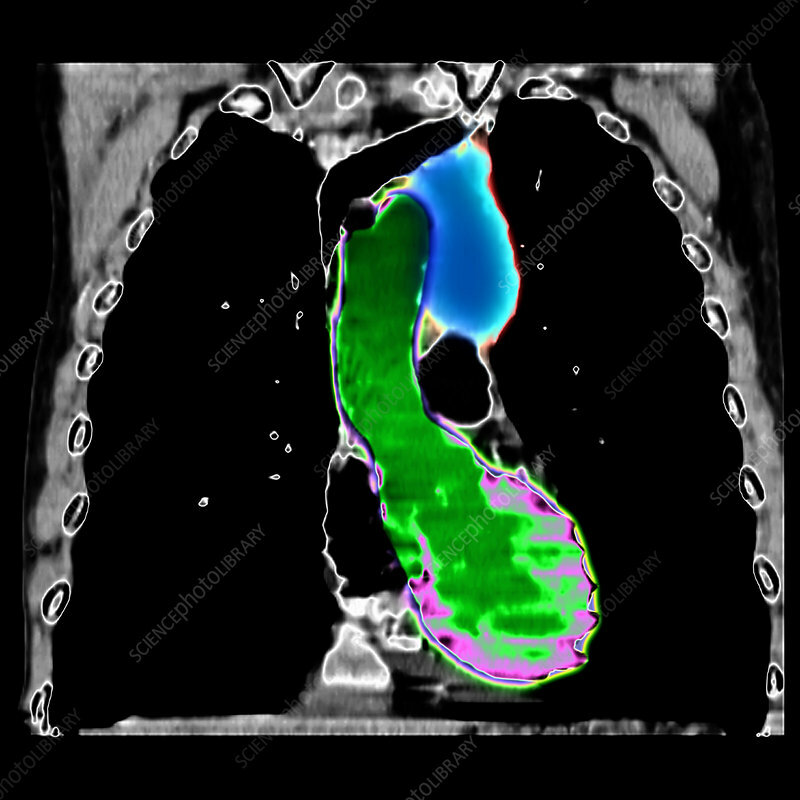 This colour enhanced coronal CT reconstruction of the chest shows a lymph node mass in the left side of the mediastinum. The left ventricular myocardium (muscle) is pink. The blood within the left ventricular chamber and ascending aorta is green. The lymph node mass in the left side of the mediastinum ( your right side ) is blue. The mediastinum is the central part of the chest which contains the heart and central blood vessels. Lymphoma is a malignancy involving the lymphatic system. This image shows the left ventricle, ascending aorta, right atrium, brachiocephalic vein and the soft tissue mass of lymph nodes.